Privacy is something that is always important, whether in personal life or in professional life. In internet we can maintain our privacy in many other ways, the best and easy approach to do is the use of extension in browser. Please use the below add on to maintain your privacy and scare of being tracked! 1. 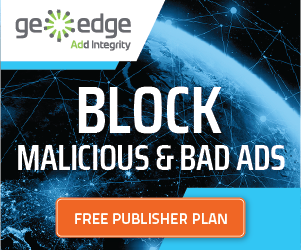 AdBlocker Plus Extension: Make use of Ad Blocker to block the ads, they are simple to use, so many of extensions are provided today to block the ads, like Ad Block Plus, a free extension by Chrome, Firfox, IE9. Disable third party cookies or site data, you can make these changes on the settings option of browser, this will double protect as it will prevent sites you visit from adding bits of code to collect information about sites you use and what you’re doing. 3. Referer Control Extension: Install Referer Control to prevent personal information sharing. Referer control grants full control over the HTTP Referer and can forge any referrer we want, both globally or on a per-site basis. 4. HTTPS Everywhere Extension: Use of this maximizes your use of HTTPS to ensure that your private conversations with websites can’t be snooped on or tampered with by other parties thus saving you from being tracked!